An original show from Artizani commissioned by “Lakes Alive”. 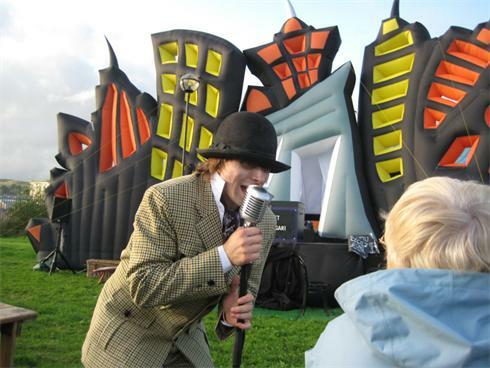 Backed by an enormous, visually stunning inflatable set the outdoor cabaret is surrounded by a circle of flags and bunting with an impressive entrance arch. Tables and chairs can be added for that authentic “cabaret feel” and food and drink concessions can be incorporated into the circle. The chaotic caravanserai of Dr Caligari arrives in town to perform its timeless cabaret and gets the audience to help create a unique outdoor auditorium. Freaks, oddities, songsters and acrobats can be conjured out of thin air to entertain, but once out of the box may refuse to disappear! 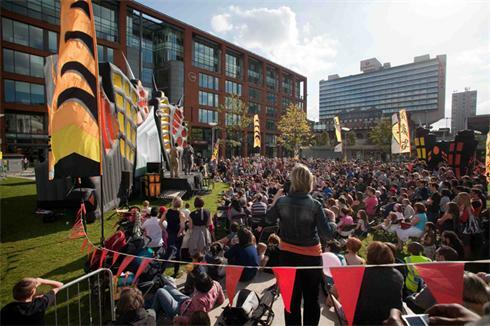 The set and PA can be used for a variety of purposes: with an in-house cabaret; as the focus for a whole day’s events – hosting guest acts and creating a real impact in a park or large urban space or at night to create a spectacular illuminated spectacle - a great backdrop to our Dance of the Giant Lobsters. If booked, the house band plays its hypnotic blend of music to stir the heart and send your feet leaping up to dance. 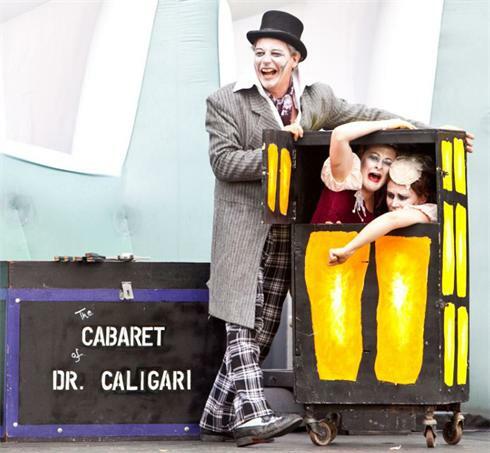 ”Caligari was a thrilling and wonderfully entertaining show, and I loved every minute of it. Personally, it was the highlight of the whole festival for me."